This tutorial will get you set up to start making custom maps for Battle Grounds II. Setting up your SDK can now be completed in just a few simple steps thanks to a new tool called ModMaker. Download Valve's developer toolkit, Source SDK. You can find it in your Steam Library under Tools. For this step we need a handy tool that can automatically configure the correct SDK settings for bg2, this saves us a lot of time. 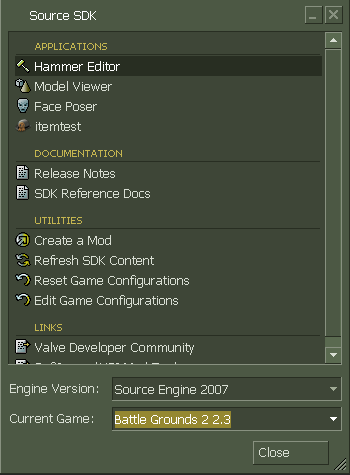 Download ModMaker for Source from http://www.moddb.com/engines/source/dow ... aker-v-190. 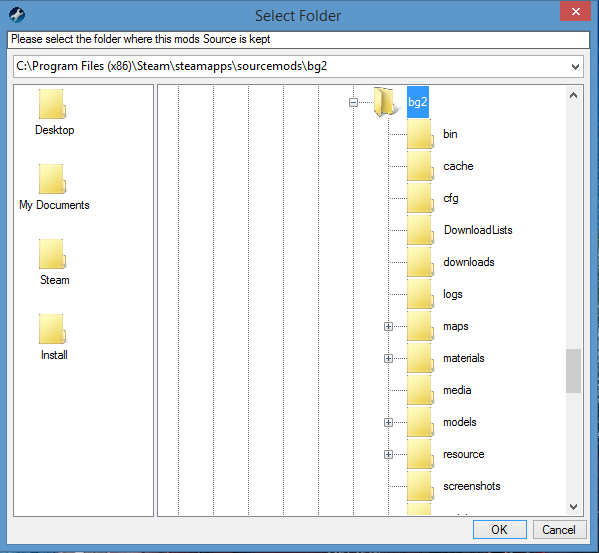 ModMaker does not require installation; you can unpack the folder wherever you want and launch the .exe from there. Launch ModMaker, it will automatically detect all of the Source Mods you have installed. 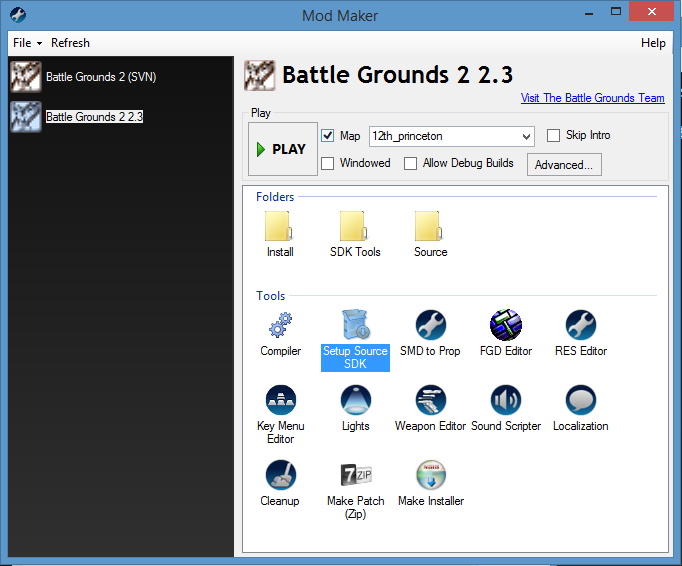 On the left panel, make sure you have Battle Grounds II selected, then click the "Setup Source SDK" tool. Navigate to your .../Steam/SteamApps/Sourcemods folder and select bg2. Confirm with 'OK'. All done! You can now launch your Source SDK and select Battle Grounds II from the drop-down menu.